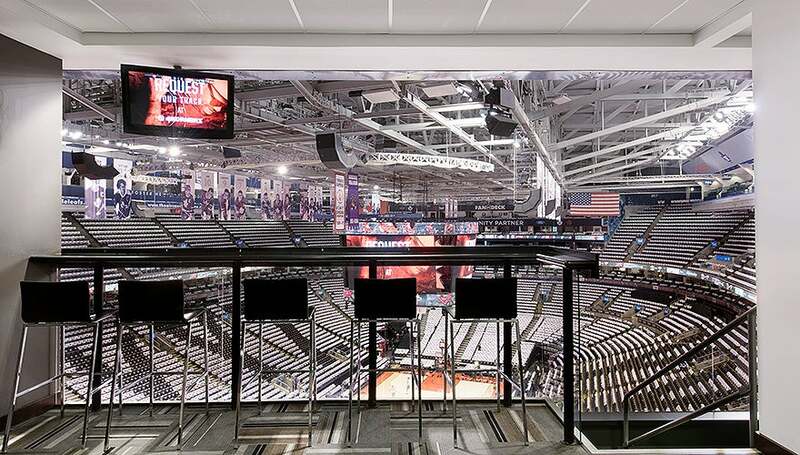 Rent a suite for an upcoming Maple Leaf or Raptors game. 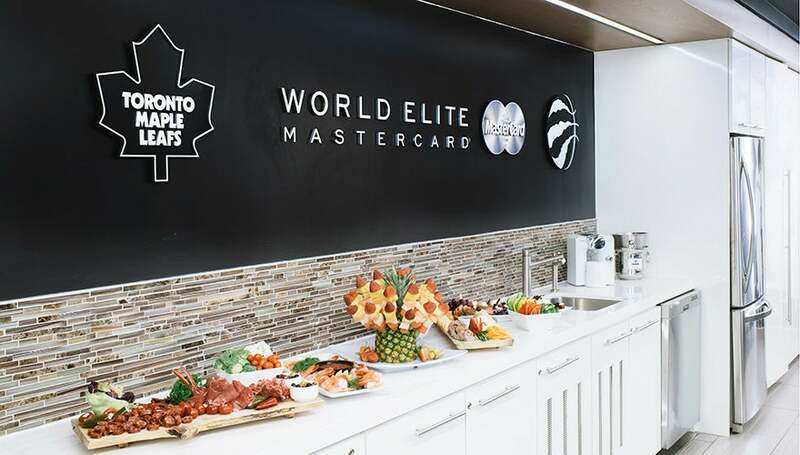 Suite rentals are located on 200, 500 and 600 levels of Scotiabank Arena and are great for group outings, corporate hospitality, birthday parties, bachelor/bachelorette parties and more. For more information on suites please call, (416) 815-5797. This suite is the prime location for a larger group of guests. We have combined 2 of our 200 level suites into one large 40 person Party Suite. The 200 level is a dedicated suite hallway with 64 separate suites allowing a view of the ice from any angle. The suite holds eight theatre-style seats with stools directly behind to provide all guests with a great view of the ice or court. 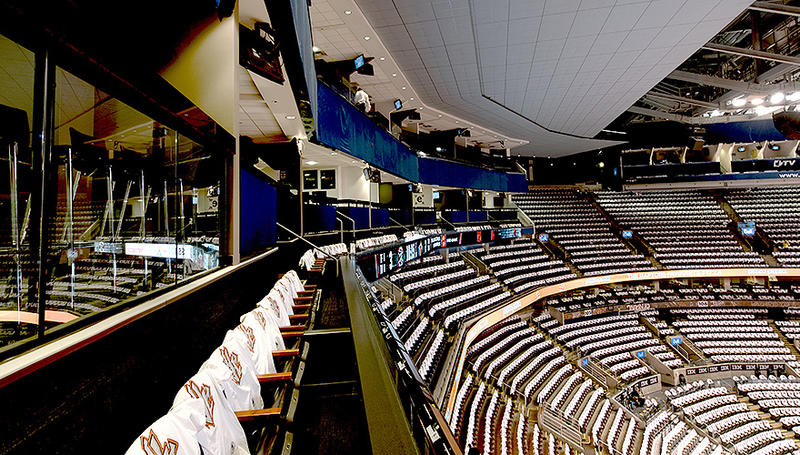 These suites can accommodate up to a maximum of 14 guests and offers a great aerial view of the ice, court or stage. Whether you require a meeting space before your event at Scotiabank Arena or need a space for a full day meeting away from the office, this is the perfect space for you.